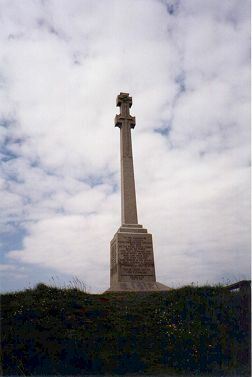 A double Celtic Cross erected by the people of Kirkoswald Parish in 1923 to honour those airmen stationed at Turnberry Air Field who died during the First World War. 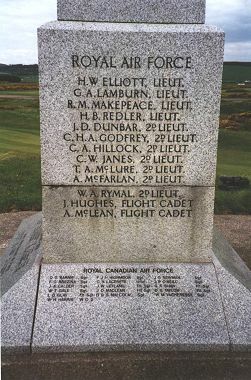 In November 1990, four sections were added to the base of the memorial bearing the names of those who died at Turnberry during the Second World War. Many of those named on the memorial are buried at Dunure Cemetery and one American Airman who died in the First World War is buried in Doune Cemetery, Girvan. Aviation Sites in Ayrshire - Turnberry and Ayr Racecourse - W.W.I.